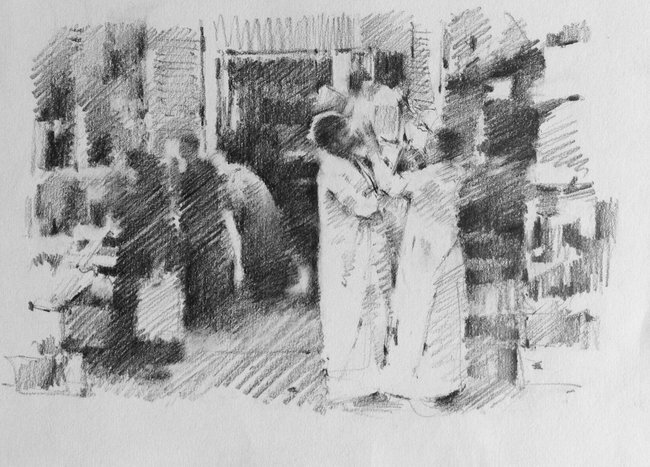 My paintings and drawings are mainly about people and their everyday lives. However, whatever the interpretation, abstracted or representational, any work is essentially a configuration of lines, shapes and colours. The arrangement of these elements into a coherent whole constitutes the real, rather than the overt, subject which may have been the original stimulus.